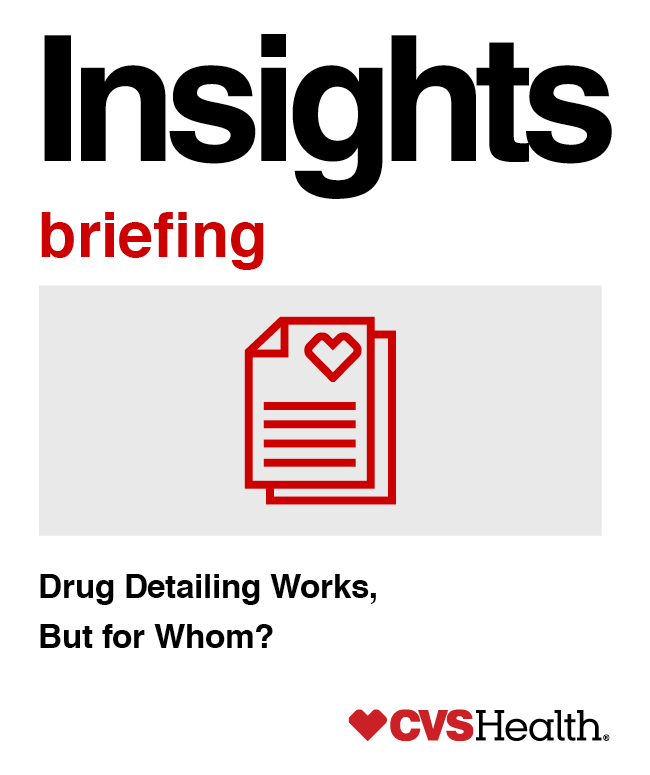 Drug Detailing Works, But for Whom? Policies limiting pharmaceutical sales activities at academic medical centers (AMCs) can help make a meaningful difference in prescribing patterns, according to research just published in the Journal of the American Medical Association (JAMA). Pharmaceutical companies spend an average of more than $20,000 annually per physician on marketing efforts including contact visits, gifts, samples, meals, travel, consultancy fees, and related spending. Such sales tactics can distort physician prescribing behavior and lead to higher costs. Physicians who had contact with sales representatives or accepted gifts from them were significantly more likely to request drugs manufactured by specific companies to be added to formulary, studies show. Overuse of brand name drugs resulted in $73 billion in costs to the U.S. health care system from 2010-2012. Limiting sales activities led to a 1.67 percentage point decrease in market share of detailed drugs in proportion to the total number of prescriptions within their therapy classes, the study found. There was also a 0.84 percentage point increase in the market share of non-detailed drugs, indicating that such policies could also help promote the use of generics and lower-cost alternatives. Prescription drug spending is growing faster than any other health care sector, and 52 percent of the growth came from price increases.1 Four of the top 10 prescription drugs have increased by more than 100 percent since 2011. Much of the spending increase is driven by marketing tactics including direct-to-consumer spending, copay coupons designed to build loyalty for high-cost branded drugs, and sales tactics directed at physicians. One way to mitigate rising drug costs is to encourage the use of generics and lower-cost alternatives. Generics keep costs low. By one estimate, they saved Americans $227 billion in 2015. However, visits from drug sales representatives help keep expensive brand-name drugs top-of-mind for physicians, which can ultimately impact their prescribing behavior and may work against efforts to increase generic utilization. To help reduce the impact of detailing and regulate physician conflicts of interest, some Academic Medical Centers (AMCs) implemented policies restricting pharmaceutical sales representative visits to physicians. Researchers at UCLA Medical Center and Carnegie Mellon University compared prescribing practices of physicians at AMCs in five states, over the course of six years, before and after implementation of restrictive pharmaceutical detailing policies. Researchers used de-identified pharmacy claims data from CVS Health for eight drug classes used to treat common, chronic conditions for which lower-cost generics are available, including high blood pressure and high cholesterol. They found statistically significant changes in prescribing patterns in six of the eight drug classes at nine of the 19 AMCs that implemented the policies. Among the AMCs, 11 also incorporated explicit enforcement mechanisms in addition to regulating sales person gifts to physicians and access to AMC facilities. This resulted in significant changes in prescribing at eight of the AMCs with such enforcement policies. 1. Analyst report, Catherine Kelly, Informa. Price Increases Accounted For Over Half Of Drug Spending Growth In 2015.